Clutterbuck Cycles is part of the growing small-scale bicycle builders in the UK. The company is run by Jonathan Clutterbuck. Jonathan builds steel frames and imports carbon fibre frames, these are then built and sold as complete bikes. 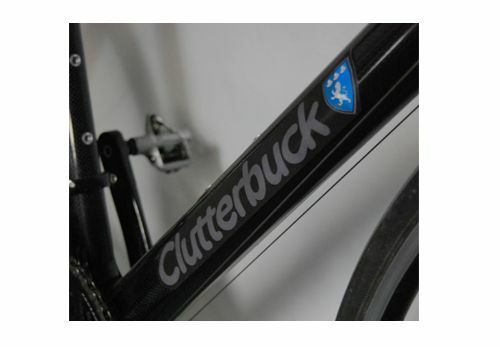 Designworks created the identity and decals for Clutterbuck Cycles. The client wanted to reflect the different eras in bicycle building and the use of steel and carbon fibre which are traditional and modern materials. We brought the eras of pre-war and 21st century together by using a rounded, contemporary font and the Clutterbuck family coat of arms.